Howard M. Cooper was named 2018 First Amendment Law "Lawyer of the Year" in Boston by Best Lawyers in America. Only a single lawyer in each practice area in each community is honored as a Lawyer of the Year. 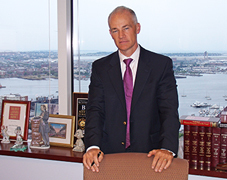 Mr. Cooper, first selected to Best Lawyers in America in 2006, is a founding partner of Todd & Weld. He regularly handles significant First Amendment legal matters that are often of public significance. Obtaining a $2.1 million jury verdict on behalf of Massachusetts Superior Court Judge Ernest Murphy against The Boston Herald, a decision that has been hailed nationally as a landmark public figure defamation case important to the independence of the judiciary. Successfully representing U.S. 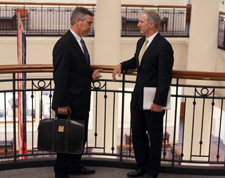 Congressman John Tierney in defeating a libel case brought by his electoral opponent in the midst of an election campaign. Facilitating a settlement on behalf of his client, the Islamic Society of Greater Worcester, in a contentious dispute with the Town of Dudley, Mass. over the siting of an Islamic cemetery in that town. Persuading the 3rd U.S. Circuit of Appeals to issue a landmark decision that the First Amendment protects sitting judges from being criminally punished for their court opinions, and vacating the guilty verdict rendered against a Virgin Islands Superior Court judge in a criminal contempt proceeding brought against the judge by the Supreme Court of the Virgin Islands. 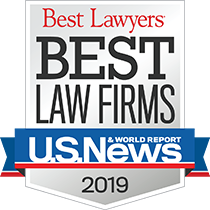 In addition to First Amendment Law, Mr. Cooper was also recognized in the Best Lawyers in America 2018 directory for Commercial Litigation and Civil Rights Law. First published in 1983, Best Lawyers lists are compiled based on an exhaustive peer-review evaluation. Over 83,000 leading attorneys globally are eligible to vote. For the 2018 edition of The Best Lawyers in America, 7.4 million votes were analyzed, which resulted in more than 58,000 leading lawyers being included in the new edition. Lawyers are not required or allowed to pay a fee to be listed. Corporate Counsel magazine has called Best Lawyers "the most respected referral list of attorneys in practice."